Log Into and start your free lesson! It’s Easy! A web cam or video Camera connected to your computer. 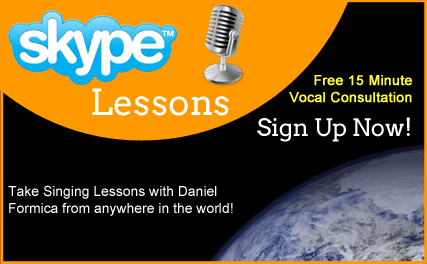 If you live on the Central Coast of California and want to have your free 15 minute private lesson with Daniel in person there are two options available. At Yourvocaltecaher.com I am committed to providing you with the information and training that will help you become the BEST singer you can be..All my clients are evaluated as individuals and therapies are customized to achieve results often apparent after their first singing lesson.